The New York Times bestselling, Eisner Award-nominated series THE WICKED + THE DIVINE by Kieron Gillen and Jamie McKelvie will feature a special variant cover for issue #11 by Eisner Award-winning artist Fiona Staples (SAGA) to celebrate the highly anticipated conclusion to the second story arc, which hits stores on June 3. 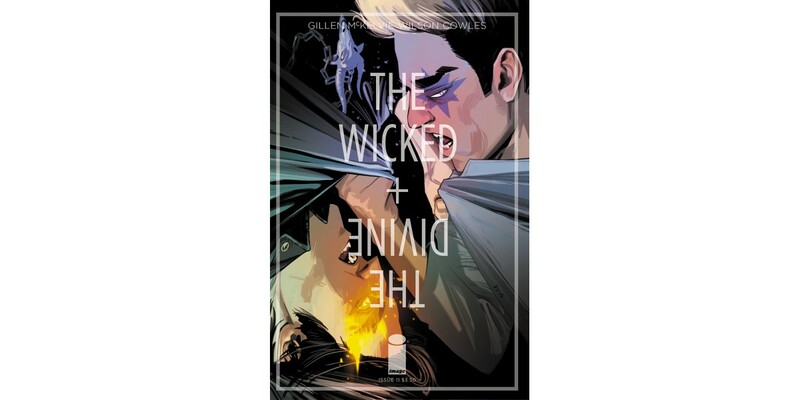 THE WICKED + THE DIVINE #11 marks the end of Fandemonium. The end of Ragnarock. The end of the arc. The start of something else. Everything’s going to be okay. THE WICKED + THE DIVINE #11 will be available on June 3 and Cover A by McKelvie can be ordered with Diamond Code MAR150616. Cover B featuring artwork by Fiona Staples can be ordered with Diamond Code MAR158540. Final order cutoff deadline for retailers is Monday, May 11.